Where have I been? Resting my hands! Not because of carpal tunnel, though. This time it was dry skin. Seriously dry skin. On my hands. To the point the skin on my fingertips was splitting and would even bleed. I’ve always had dry skin, but this winter it has been ridiculous. They were so sore that even touching the keys on the keyboard was uncomfortable. So I mostly have stayed far, far away from the keyboard. But out of this I’ve discovered one new item and rediscovered an old one. The new one is this CeraVe cream. A great big bucket of the stuff. I love it. It soaks in and isn’t greasy and wow, does it make a difference. The old rediscovered item? Pears Soap. I used to always use it but got away from it when we started using a liquid soap. The liquid soap we used that I liked has now, of course, been discontinued. So back to Pears Soap I went and the difference has been quite marked. So no more liquid soaps for me, thank you! I’ll stick with Pears Soap. And buckets of CeraVe cream. 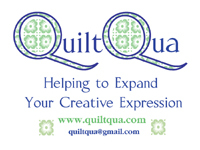 Throughout all this, though, I have been doing quilt-related things. I have even been piecing, wearing numerous thimbles. It sounds odd and it was a bit, but it worked. Not using the keyboard was one thing, but not being able to sew? Not going to happen if I could help it and using thimbles on multiple fingers meant I could! 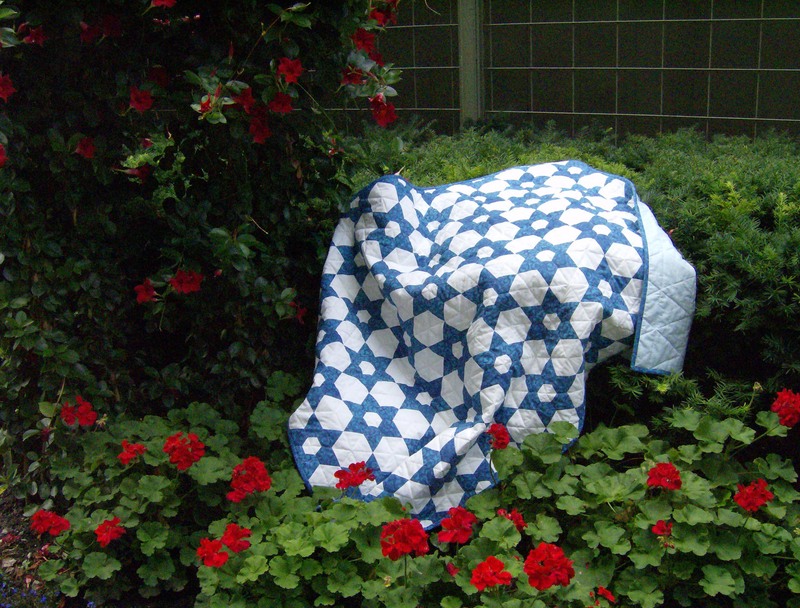 I finished the last of the Kona Bay Silent Garden blocks for which I had a star ready. Oh, how I love the look of these ones – I think I’m going to name it Tranquil Garden. I decided that I needed to get all the diamonds printed to make the stars I need for the Tranquil Garden top. Now I have lots of lovely stacks of diamonds, just waiting to be sewn into stars. I printed them using the Inklingo no-waste fussy cutting/printing method. Since I had all the stars already sewn together for the mauve & pink Silent Garden and the brown & blue Silent Garden tops, it only made sense to get the Tranquil Garden stars sewn together and ready as well. I’ve made a good start on getting the stars sewn together. Quite a few stars have been sewn but I still have lots more to make. I forgot how much I enjoy piecing 6-pointed stars. They really are fun and quick to sew. The latest elevator lobby flowers are wonderfully bright and colourful. I think Jake is bored with winter as it means there’s nothing for him to watch out on the roof garden. Baxter is always curious about any movement on the roof garden, even if it’s just snow falling. Winter, and work, have been tough on my hands, too. Happy that you found a way to sew anyway…the stars look great! It seems this winter has been incredibly hard on hands for a lot of people! There were a couple of days I couldn’t sew at all, but thankfully that didn’t last and I was able to keep making stars. Those are wonderful stars! You are so productive! And yes, everybody has dry hand syndrome now, another great one to use is OKeeffe’s Working Hands hand cream. I have a pile of bindings to do and I can barely handle the thread with split fingers! I’ll look for that cream too – hopefully it’s unscented. Why is the dry hands syndrome so much worse than it used to be? I don’t remember my mother ever battling dry hands to this extent! I wonder if it’s all the perfumes and other chemicals that are in so many of the things we use now. The thing that saved me were the really flexible little black leather thimbles. They come in a few sizes and I had one on a few fingers – including my thumbs. Oh no! I feel your pain, literally. I’ve been fortunate this year, since I’m not burning wood and my new well water is not as hard. Also, it hasn’t been too cold here this year, at least not for long periods of time. In years past, this is a constant battle! I would Put neosporin on the bad areas before bedtime. I use the big tubs of cetaphil, I will have to try this one. It seems I’m constantly putting lotion on. My fair scott/Irish skin always demands attention. Just this morning, I made an appointment with my dermatologist. I’m overdue for a checkup and have a few places of concern. 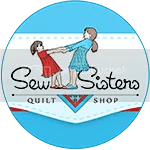 Always something removed each visit… I love the sewing you’ve done! Beautiful!!!!! I was using Cetaphil but it just wasn’t working. I asked the pharmacist and they recommended the CeraVe cream – they use it all the time. It is a bit more expensive, but I really did see a difference. Dry skin is absolutely no fun! Good to hear CeraVe and a gentler soap is working, and hopefully you’ll be back to doing what you love soon – take care! Thank you! I wonder why so many are having trouble with dry skin – I can’t help but wonder if it has something to do with the amount of perfumes and other chemicals are in so many products we use as I cannot remember my mother ever dealing with dry skin like this. I have the same problem with splitting and bleeding fingers. I put polysporin and bandaids on at night and it helps. I always use a gentle soap and hand Cream. So annoying! Your stars look lovely. Right now I’m enjoying the stars in Puerto Vallarta and of course the warm sunny days. I’m on a family holiday. There are 13 of us here for 10 days. Don’t want to go home! I’m not surprised you don’t want to go home. At least you’re going to B.C., which has to be warmer and less wintery than it is here in Ontario right now! Wow – I had no idea this dry hand problem was so widespread! I had a dog who started scratching. The vet suggested Fish Oil to combat dry skin. Cleared up in a couple of days. So I tried it! It keeps my dry skin at bay. If I run out while traveling, within two days I am scratching my legs until they bleed. (I don’t have the fingers problem, although my mom did, so don’t know if this would work.) You need the best quality you can get, not rancid stuff from Walmart. I use Nordic Naturals Ultimate Omega (from Amazon), one each with breakfast and dinner. No fish oil taste. No affiliation. I’ve been taking krill oil for a couple of years – and even it didn’t help this year! But Pears and the CeraVe seem to have made the difference. My hands have always been dry like that. The CeraVe is good! I complained to my dermatologist about cracking fingertips once. She told me to use super glue to seal them up! Works like a charm.